IJERT welcomes UG, Master and PhD thesis for publishing it online as a book with unique ISBN. Submit your final project report and get your work recognize by broad readership around the world. IJERT’s dissertation & thesis publication service gives authors & universities around the world, a global platform to showcase their valuable research work. IJERT provides a valuable resource both for newcomers to the relevant research fields and for other scientists seeking detailed background information. All Thesis will passed through rigorous review. Open Access Publication – Anyone can freely download from IJERT website round the clock. You hold the ownership & Copyright of work – You holds full ownership of the completed work and entitled to sell or distribute copies of the book. Certificate of Publication from IJERT – You will get the hard copy & soft copy of Certificate of publication from reputed IJERT. Permanent and cite-able web link to your thesis – Get web page area , which contains your bio-data with photograph, introduction and research details. Indexing & Promotion of your Work – Your work will be accessible from major indexing services like Google Scholar. All the thesis related to engineering & science research fields are welcome.The topics are not limited to the list that is available at this link. You may directly submit your final version of thesis or project report. 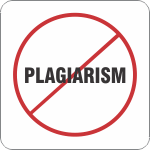 According to COPE guidelines, when thesis contains original unpublished work, it should not be considered as prior publication. Therefore, it is acceptable to be published as a manuscript or a monograph in a journal, even if it is available freely in university repositories and Creative Common license may or may not apply. Since fields transform rapidly, don’t wait too long before publishing. If you do, you run the risk of your literature review or methodology becoming outdated. They must be written in good English. The topic should fall within the confines of Engineering, Chemistry, Physics and related interdisciplinary fields such as Materials, Nano science, Chemical Engineering, Complex Systems and Biophysics. The work reported in the thesis must represent a significant scientific advance. If the thesis includes previously published material, permission to reproduce this must be gained from the respective copyright holder. The theses should have a clearly defined structure including an introduction accessible to scientists not expert in that particular field.